OLD PARKED CARS. 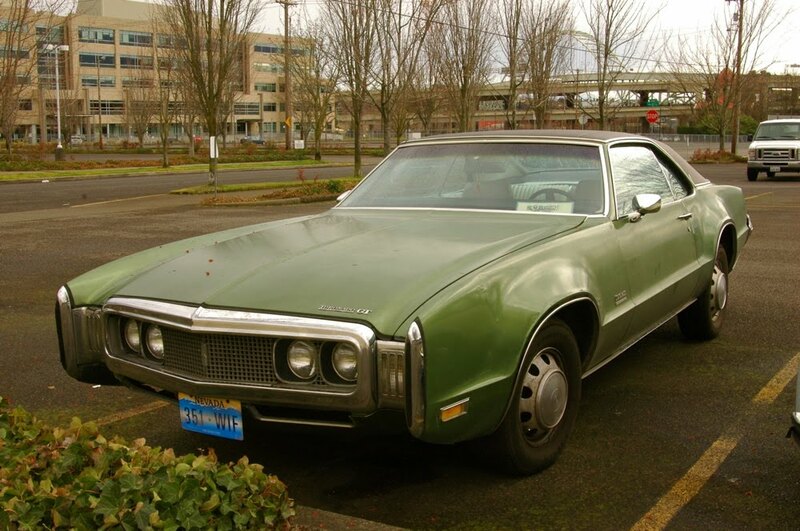 : 1970 Oldsmobile Toronado GT. Radiant! Front-wheel drive and a great side profile. Just give her a cleaning and straighten out the rear suspension, and she'll look pretty damn good. That face really takes me back to my love of Tie Fighters. That was the first PC game I ever bought, it came on 6 floppy disks and I wore out many mouses playing it. Mouses. "There’s no taste to acquire. 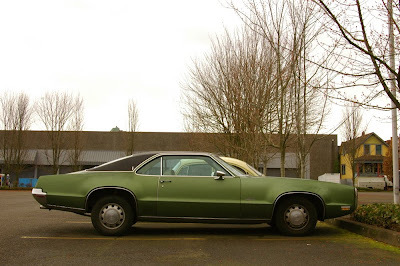 You either love the first series Toronados or you’re a hopeless ignoramus. 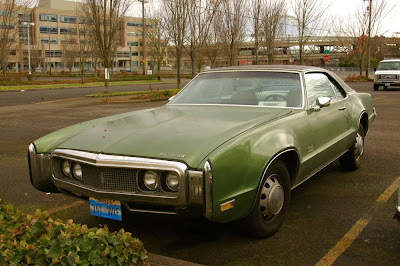 The 66 Toronado is the greatest production car the General ever offered. It is the second greatest production car in the history of the American automobile and only surpassed by the Cord 810-812. 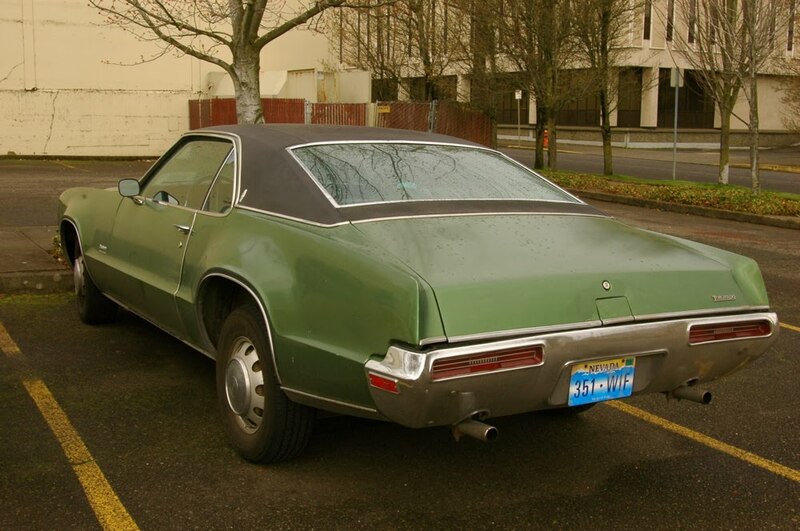 Muscle cars offer nothing but that muscle: no innovation, just inches, big carbs, headers and slicks. 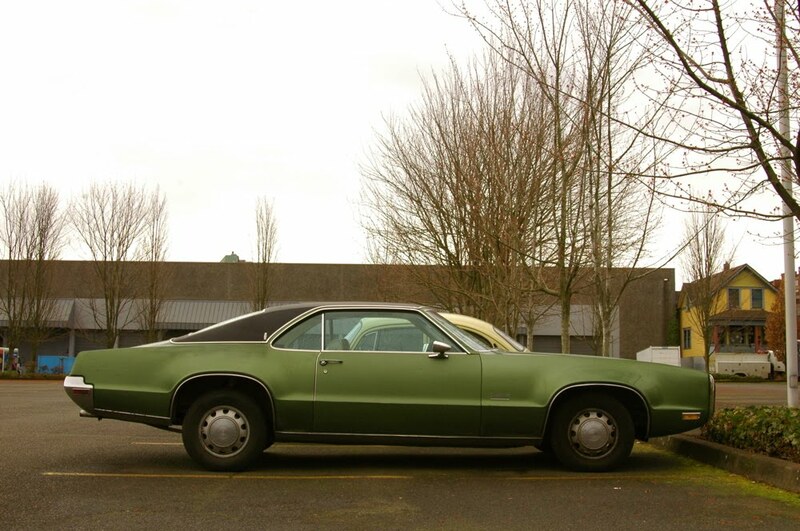 They were meaninless juvenile packages for the suicidially inclined and absolutel zeros compared to the Toronado. They (the muscle cars) might have tidyed up the gene pool a bit by taking out thier lame brained owners but probably did in more innocents than they did in the morons that drove them." see what chad wrote here. The rake may be from load leveling air-shocks. I don't know it was a factory offering on Ioronados? Some luxury vehicles had these shocks to adjust for load, and an on-board pump would level the car. This example has the hub-caps on the reverse steel-wheels.